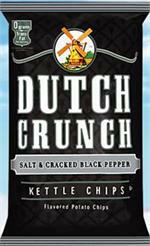 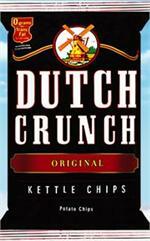 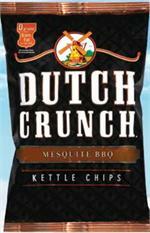 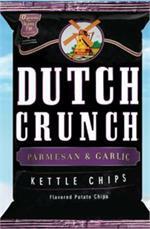 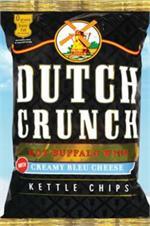 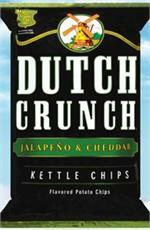 Dutch Crunch Potato Chips are the #1 Brand of Kettle-Cooked Potato Chips throughout most of the Upper Midwest. 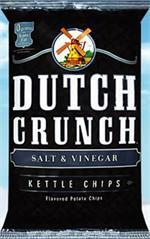 Starting with our select potatoes and pure Sunflower Oil, Dutch Crunch chips are cooked in small batches to create that extra-special crunch and flavor that Dutch Crunch fans rave about! 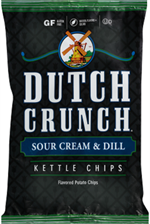 Each bold flavor will delight you with that unique Dutch Crunch taste and distinctive crunch. 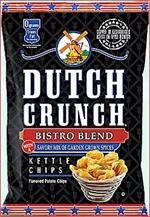 Each Bag has the cleanest seasonings with no artificial Ingredients !